The Dawn is an elegant 2-block property on 5 acres of land nestled in the 138 acres Impression City. Unit layout – Standard, Pool, Jacuzzi and Executive Suites. Each layout is designed to fit the requirements and needs of every traveler, whether for business, family or a honeymoon stay. The two blocks of 28 and 29 levels each are marketed as a condotel. 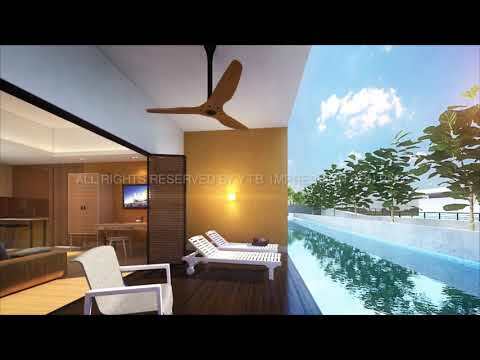 Fronting the Straits of Malacca with a host of well thought out amenities and facilities. their private pool or swim a the way to the main pool. breeze and spacious enough for outdoor dining. with a balcony over looking the city or the Straits of Malacca. Yong Tai Berhad (7066) is a public company that is listed on the Main Market of Bursa Malaysia whose core business is in tourism-related property development. We own the exclusive rights for the Impression Series in Southeast Asia for Malaysia, Singapore, Thailand, Indonesia and the Philippine. As a bold and visionary developer, we built and manage Melaka's first corporate tower with 100%o ocupancy, Jaya 99. Dedicated to elevating the international profile of the city, we also built THE PINES MELAKA HOTEL with the first poolside suites offering private access to a saltwater swimming pool; Courtyard by Marriot Melaka, the city's first Marriot hotel; and The Apple, the state's first service apartment with a 4-tier security system. Inspired by our "Dare to Dream, Dare to Do" spirit, we have become a pioneering force a new tourism-cultural integrated development. With new innovative initiatives and exclusive tie-ups with international partners in place, we are set to elevate Melaka's tourism industry to new heights.